I’m excited to share the January 2018 content from the print edition of “Slow Flowers Journal” — providing ideas and inspiration for your floral year to come in design, business, flower sourcing and branding. 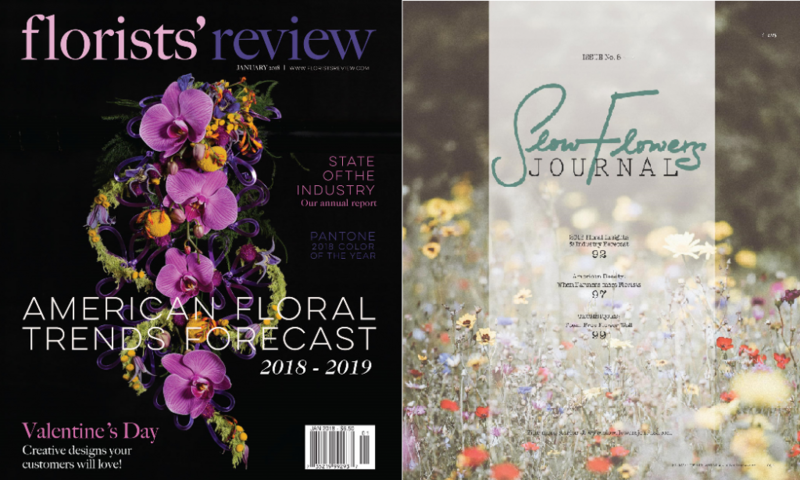 I’m especially excited to see the Slow Flowers’ Floral Insights and Industry Forecast featured in a major print publication for the first time since it began in 2015. 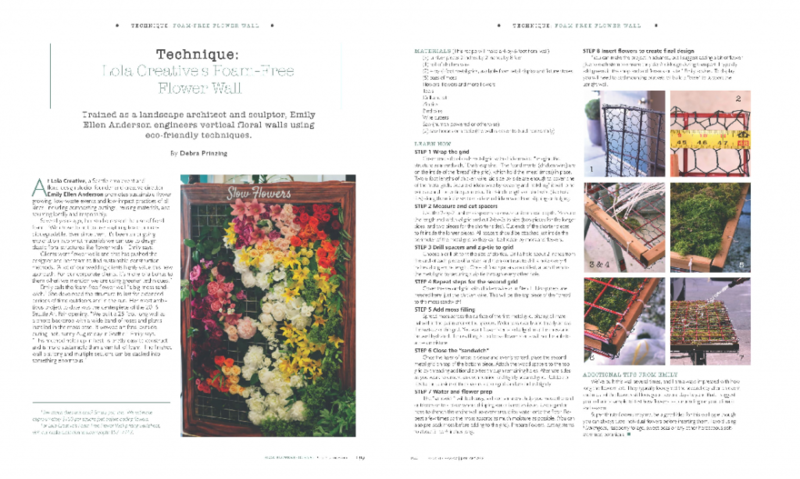 This editorial project resides in the pages of Florists’ Review — and I’m excited to share Issue No. 6 from January with you here. 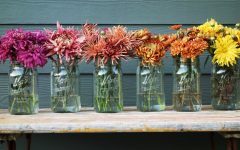 The Slow Flowers Community and our stories include people like you — innovative floral designers, farmer-florists and other leading voices in progressive floristry. I’ve excerpted January’s articles for you here, including downloadable PDFs of each, so you can read them on your computer, tablet or smart phone. We can’t post live links to digital stories, so if you want your own edition, now’s the perfect time to SUBSCRIBE! Here’s a peek at the features and columns from the January issue. Enjoy! 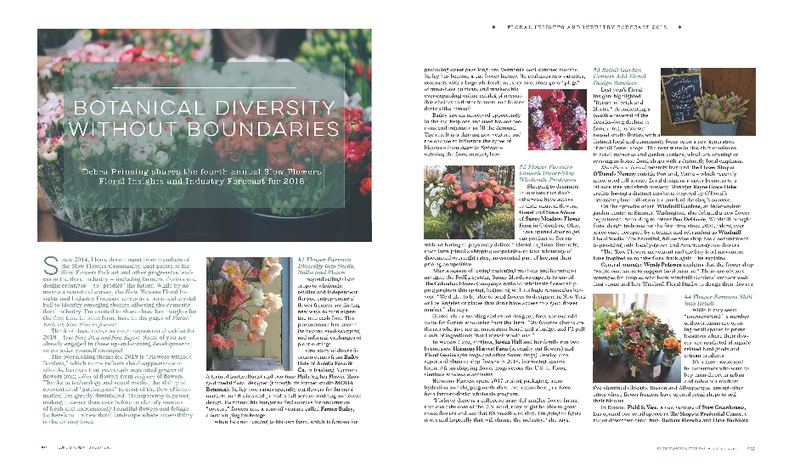 “BOTANICAL DIVERSITY WITHOUT BOUNDARIES” reflects an overarching theme addressing the disappearance of silo-like barriers that previously separated growers of flowers from sellers of flowers from designers of flowers. Thanks to technology and social media, the ability of conventional “gatekeepers” to control the flow of information and product has greatly diminished. Transparency is power, making it easier than ever before to identify sources of fresh and uncommonly beautiful flowers and foliage. So here’s to a new floral landscape where accessibility is the driving force. Think of these topics as your inspiration checklist for 2018 — Your Next, New and Now Report. Some of you are already engaged in these up-and-coming developments, so consider yourself on-topic! 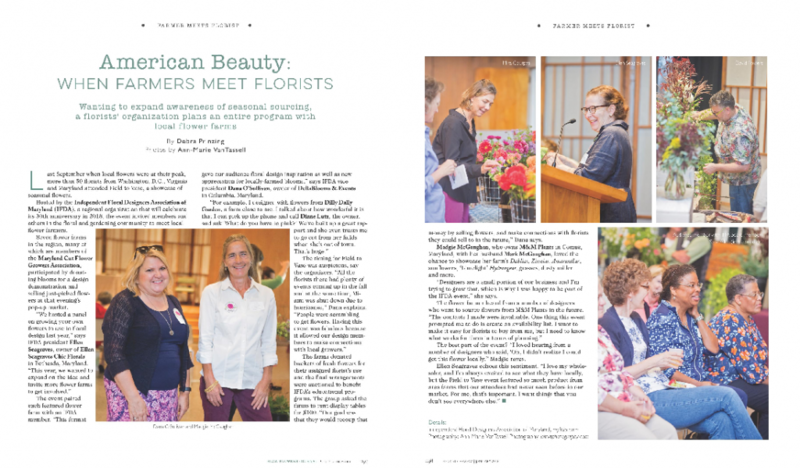 Last September when local flowers were at their peak, more than 50 florists from Washington, D.C., Virginia and Maryland attended Field to Vase, a showcase of seasonal flowers. 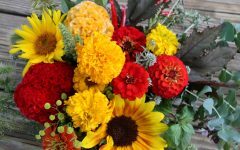 Hosted by the Independent Floral Designers Association of Maryland (IFDA), a regional organization that will celebrate its 30th anniversary in 2018, the event invited members and others in the floral and gardening community to meet local flower farmers. 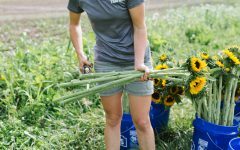 “I loved hearing from a number of designers who said, ‘Oh, I didn’t realize I could get this flower locally,” flower farmer Madgie McGaughan of M&M Plants raves. At Lola Creative, a Seattle area event and floral design studio, founder and creative director Emily Ellen Anderson promotes sustainable flower growing, low- waste events and low-impact practices of all kinds, including composting cuttings, reusing materials, and sourcing locally and responsibly. Several years ago, her studio ceased the use of floral foam. “We chose to not use anything toxic or non-biodegradable. Ever since then, it’s been an ongoing exploration into what materials we can use to design classic floral structures like flower walls,” Emily says.